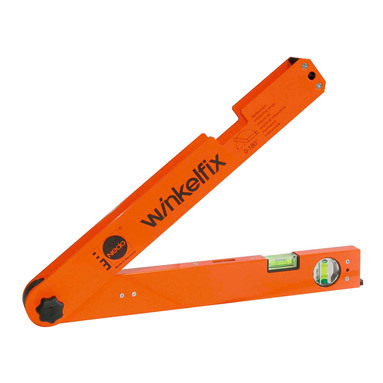 Nedo Winkelfix mini angle measurer - 430mm length shank. The Nedo Winkelfix angle finder allows the measurement of angles to be performed quickly, precisely and with the utmost ease. 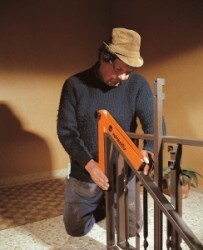 Simply place the Winkelfix in position and the angle is rapidly and accurately shown in degrees on the analogue display. Thanks to its reliability, sturdiness and convenience, the Nedo Winkelfix has proven its value to the building trade over and over again.